Celebrate Peace & Love in your garden with Janice, our Newest Hippie Chick Gnome! 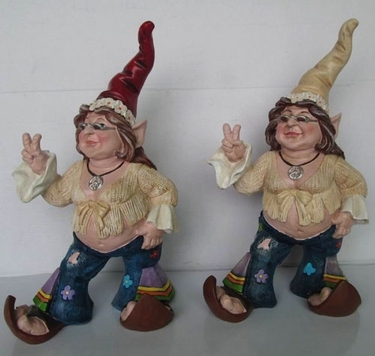 Rainbow bell bottom jeans, peace signs, and flowers cap this peaceful hippie garden gnome will bring the relaxed atmosphere of the 70's back into your life! Only available now with Red Hat.